It’s that time of the year when the look of your backyard and front lawn matters. Do you have dead or diseased trees? Perhaps you spot damaged tree limbs or branches that are ruining the image of your lawn, and maybe even your section of the neighborhood. Don’t you want beautiful, healthy looking trees? Maybe it’s time for you to consider tree pruning in NJ. With the help of professionals, dead and diseased trees can easily be cured. Whether it is for your home or work place, your trees can be revived with one call to Amazing Tree Services. We can provide you with services specializing in tree removal, tree trimming, and tree pruning in NJ. Amazing Tree Services is 100% customer satisfaction guaranteed. Our crew of tree technicians is fully insured and can provide all of the machinery, vehicles and equipment used to get the job done! Tree pruning in NJ can help improve the health of your trees and grass, leaving your lawn nice and green. It can also help avoid any damages to your house windows and roof, by eliminating any branches or limbs that extend too far out. Speak to an expert today at 973-343-6868, to get a free estimate of our tree pruning services. It's finally the summertime, so what better time to clean up your yard than now? That big tree that is leaning a little bit too far toward your house, or the tree that seems to be dying near your sidewalk, may just need to be removed. For tree removal in NJ, call Amazing Tree Services! 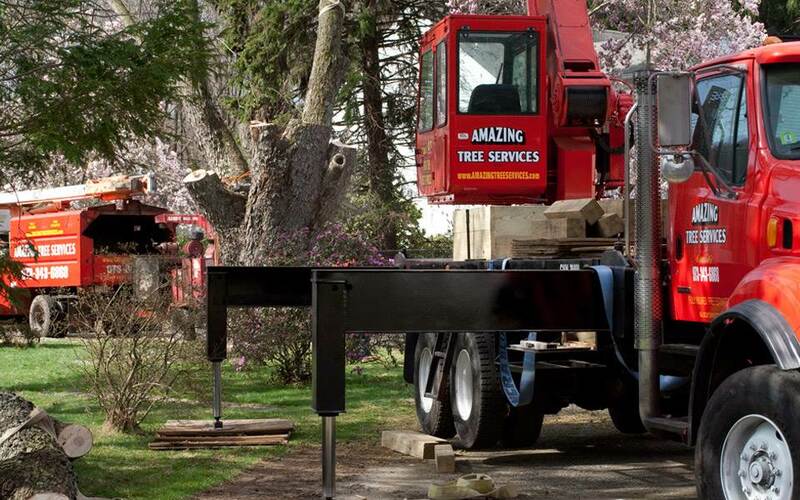 The trained professionals at Amazing Tree Services run a fully guaranteed and insured tree company in NJ. At Amazing Tree Services, we provide a tree removal service that will remove trees if they are in danger of falling or that are dead or dying. With complex machinery and experience, our professionals will remove your tree with safety and ease! Once we remove your tree, we offer to chop it up into firewood for you. This way, we recycle the tree, making it more useful to you than it may ever have been before. We will also clean up the area when we are done with our tree removal service. We will make the area immaculate, free of debris from the tree removal process. 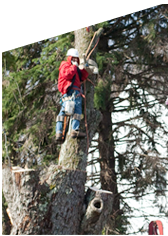 In addition to tree removing, we also do tree trimming, tree pruning, stump grinding, firewood, seasonal cleanups, snow plowing and numerous crane services. We specialize in these services in Essex County, Morris County and Passaic County. For your free tree service estimate, or for more information, call us at 973-343-6868 today! You can also go online on our website to get a free estimate now! After having Tree Removal in Passaic County, NJ performed, your lawn or yard looks like a smooth grassland, symmetry as far as the eye can see. The beauty is breathtaking until one simple thing ruins the tranquility of the scene, a stump. Luckily, there is a company that deals with Stump Grinding in NJ and can restore the harmony back to your lawn. Amazing Tree Services provides, amongst many tree services, professional stump removal and stump grinding in NJ. 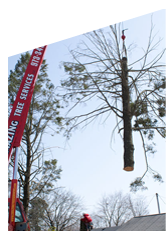 Amazing Tree Services has both the heavy machinery and technical skill to handle these and many other tree services safely and efficiently. Depending on the customers' preference, we can do two things with the stump, our crew will either grind the stump and provide you with wood chips, or completely haul the stump away. We understand that some customers will leave a stump on their property because they think it will reduce cost but there is a danger that resides. These stumps often attract bugs and weeds therefore Stump removal in NJ is important. Stump Removal and Stump Grinding in Passaic County, NJ can also increase the value of your house as well as it can enhance the health of the surrounding vegetation. If you have any questions about removing a stump or any other tree service do not hesitate to call us at: 973-343-6868! In many domestic areas, trees can be a property's best friend and worst enemy. For all of their worth as aesthetic additions to domestic and even commercial properties, they can obstruct people's views and potentially be safety hazards. Sometimes, though, all a tree needs is a nice trimming to set the right mood and environment. Amazing Tree Services offers fully insured and guaranteed tree trimming service in NJ. Most issues arise when a large tree has a damaged or broken branch, or one that is hanging too low to the ground; these are all potential dangers for pedestrians in the area, as well as general eye-sores. 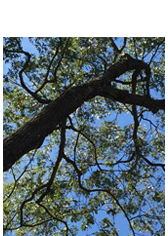 Amazing Tree Services is your one-stop place for trimming of these problem branches and other common tree issues. Our tree specialists can assess the options for your situation in a fast and professional manner. Amazing Tree Services deals with tree trimming and pruning in NJ but also deals with tree removals and stump grindings. Speak to a representative now by dialing 973-343-6868 for more information about your issue. Also, visit our webpage and fill out a contact form to get a FREE estimate about your tree situation now! As the weather continues to gets warmer, plants and trees are sprouting beautifully. However trees are growing wildly causing a concern in New Jersey resident. 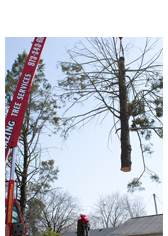 Tree pruning, removes all weak and damaged branches that may cause fatal accidents. Also this ensures the growth of your garden and plants. To develop a beautiful landscape, NJ tree pruning is considered highly essential to produce a stronger heighten trees. Tree pruning provide proper tree growth to receive maximum sunlight which overall produces a stronger faster growing gardens. 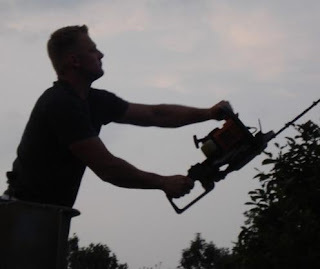 Amazing Tree Service is the leading NJ tree company that offers affordable tree pruning, tree removal, tree trimming and stump grinding. With affordable NJ tree pruning and landscaping you will be able to enjoy the green in your yard, while saving the green in your wallet. NJ Tree pruning assist trees to grow in a straight heighten direction, which increases sunlight range to produce a stronger garden. Routine pruning also removes dangerous weak branches that may potentially fall in any harsh condition. Amazing Tree Services first priority is safety, which is why we strongly recommend routine tree prunings. While protecting your family and garden from weak fable branches you also boost trees to grow stronger and more desirable. 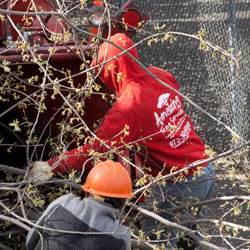 Amazing Tree Service is highly dedicated to provide every customer with amazing customer services, healthier trees, and provides the most efficient service at affordable prices. We are a fully insured tree company in NJ operating in Morris County, Passaic County, Essex County and all parts of New Jersey. We supply our own trucks, cranes, tools and men to ensure a faster, efficient and affordable service. 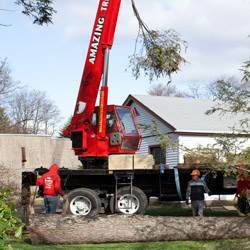 Get the best of both worlds and contact Amazing Tree Service for a free estimate 973-343-6868. As the weather gets better in Northern Jersey, yard work becomes more and more important. One of the most important parts of a yard are its trees. If the trees are not in tip-top shape, they become less aesthetically pleasing and may cause more harm than good to the yard. There is however, a Tree Company in NJ that understands this and can perform a plethora of services that can help your trees look better and become healthier.We offer Tree Pruning Services in NJ that provide a multitude of benefits for our clients. One benefit is that this process will get rid of dead or diseased limbs that are obstructing from the trees beauty and hindering the trees health. The Tree Trimming Services in NJ also decrease the size of the trees canopy which then allows for more sun to reach the grass which then makes the grass healthier. Our expertly trained and fully insured crew can perform other tasks that could could also benefit your trees such as crown raising, crown cleaning, understory reduction and more. 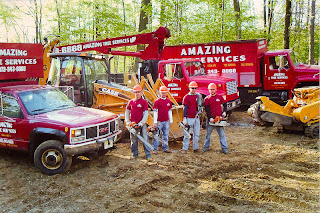 Amazing Tree Services holds the prestigious certified arborist credential, which means that our staff has three or more years of full-time, eligible, practical work experience in arboriculture and/or a degree in the field of arboriculture, horticulture, landscape architecture, or forestry from a regionally accredited educational institute. 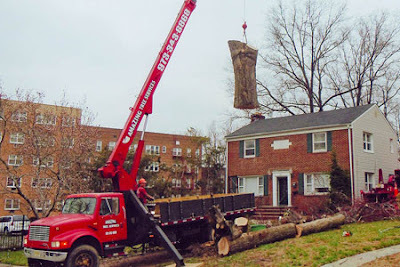 This means that when it comes to the best in Tree Services in NJ, you can count on Amazing Tree Service to get the job done right due to our loads of experience and expertise. Why go for good, when you can trust in Amazing! Call us at: 973-343-6868!